Michael Slade sent this photo. 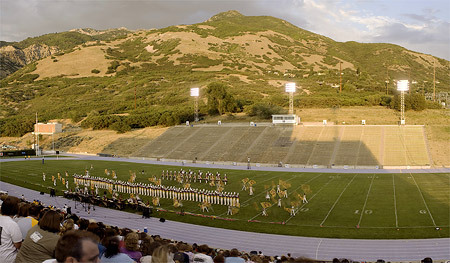 This is a panoramic photograph of the Cadets from their performance in Ogden, Utah on July 30. A huge fan of the Cadets, I remember them making me cry in 1984 with their "West Side Story" show. The haunting mellophone solo from that production gets me every time.